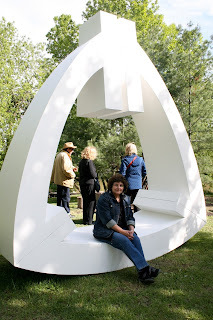 Last Sunday, I went to the vernissage for the wonderful sculpture garden at the Skelly Gallery in St. Eugene. It was a happy day for me. Peter's "Homage" looked marvelous after all the hard work over the past couple of weeks to move it, clean it and give it a fresh coat of paint. 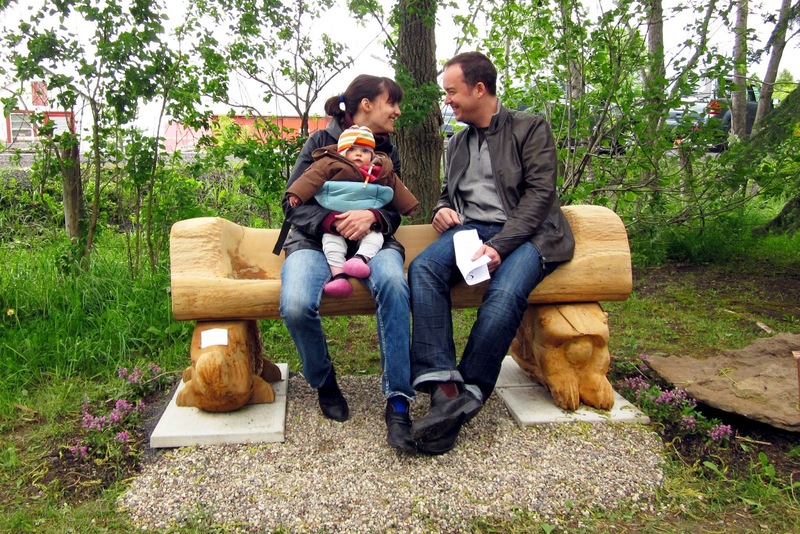 It was installed in a prominent place in the garden and people loved it. 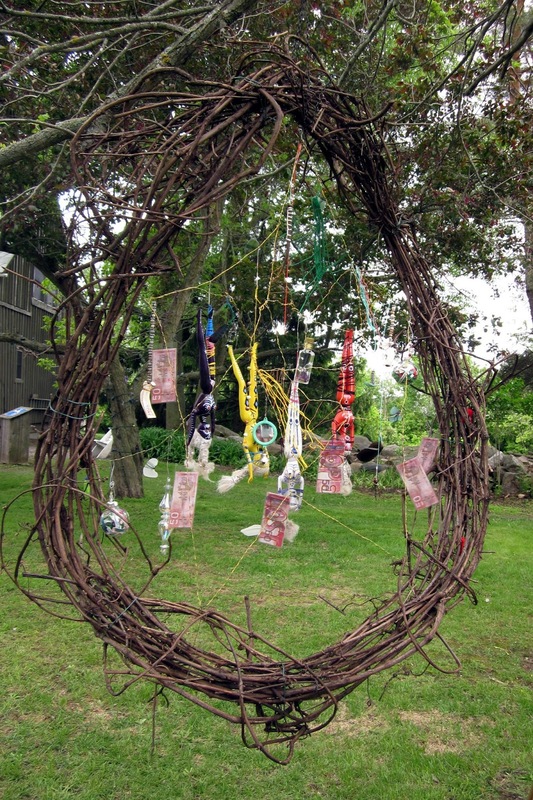 There were many beautiful and interesting pieces in the show. 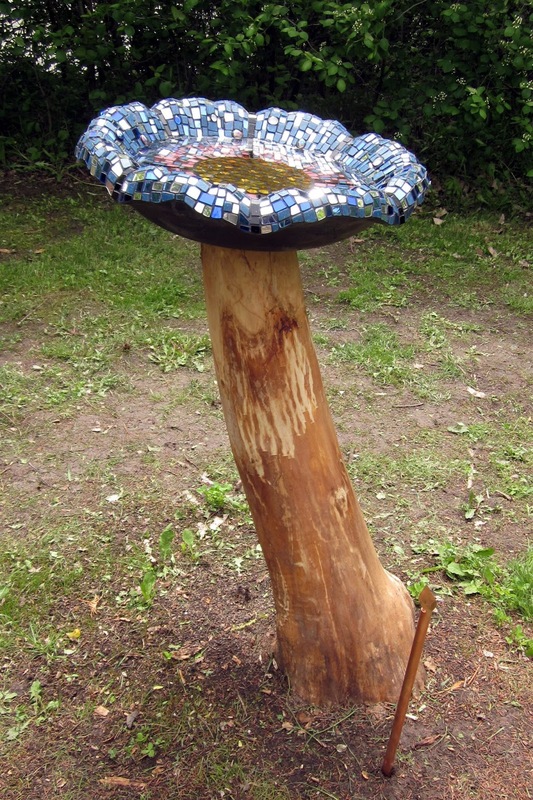 This tiled bird bath by Dody Dines looks like a gorgeous big flower. Isn't this fun? 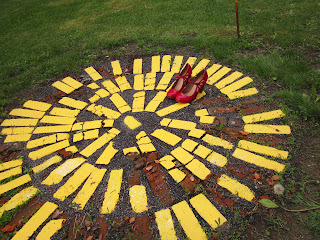 It is called "Follow the Yellow Brick Road." 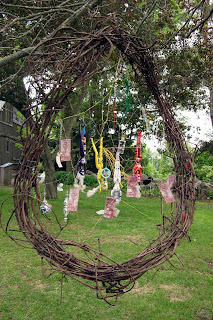 This is a piece by Susan Jephcott. Wild! I love this beautiful bench that was carved by Lis Skelly. One of the bases is a turtle and the other is a frog. 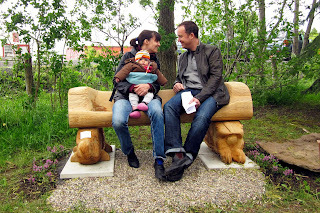 It was actually very comfortable and many people tried sitting on it. This is one of my favourites of the pictures I took during the day. 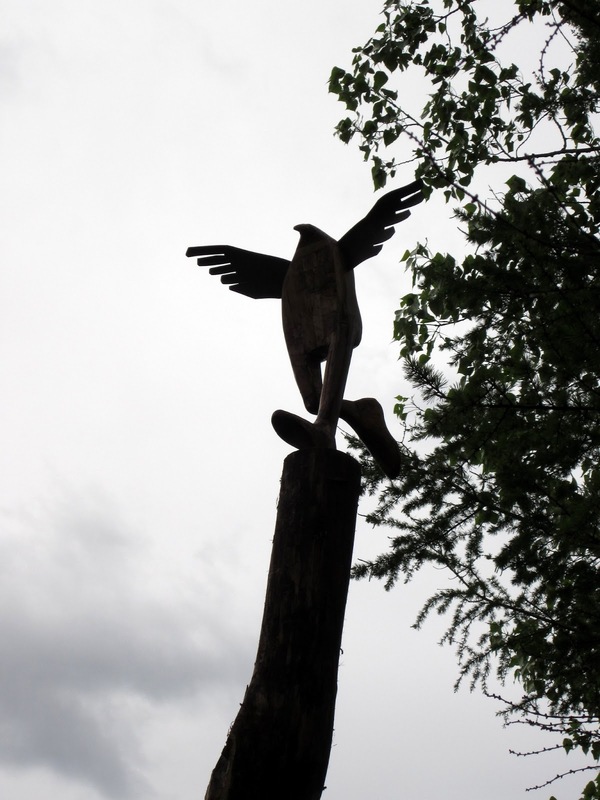 This great sculpture by Susan Valyi is up very high atop a dead tree. 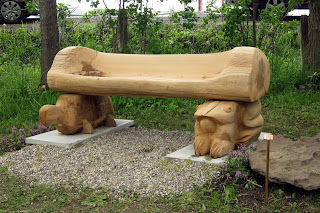 There was also sculpture inside the gallery. I got mac to stand behind his screen made of juice can lids. I talked to many people at the vernissage and it was nice, later in the afternoon, to just sit on the Homage and take a break. Looks like the opening was a success! All the sculptures really look great, especially the Homage.